Having a stable, reliable electrical supply is one of the more important conveniences of the modern home or office. While you might be enjoying your efficient electrical system for many years, you also need to periodically ensure that it is safe for use. Many times, problems and snags can develop over time and if you want to prevent accidents and problems, periodical electrical inspections should be carried out at your home or office. 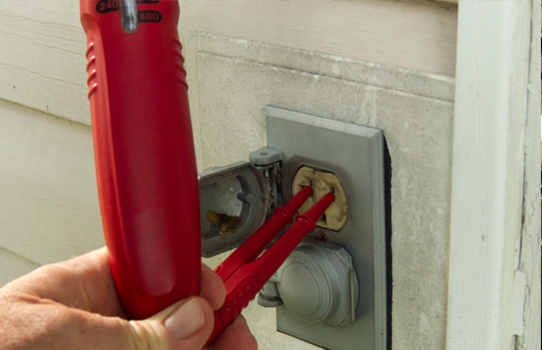 At GPE Electrical Services, we help you stay safe and secure with our excellent electrical inspections services in Texas. With many years of valuable experience under our belt, we are well aware of all the usual and unusual problems that can surface with home or office electrical supplies. Our team is perfectly equipped to give your electrical systems a thorough once-over, leaving nothing to chance and performing a thorough audit. When it comes to electrical supply systems, it is always better for you to be safe than sorry. Periodical inspections are great because they ensure that your home or office electrical supply system continues to work and perform optimally, while finding out potential issues or safety concerns before they start posing a problem for you. Any part or item in your wiring which has started showing signs of wear can also be replaced conveniently during the inspection run, leaving your system healthy and safe at all times. Better Performance – Small parts of your electrical system can cost you money if they go bad, reducing overall optimum performance across the board. With regular inspection, you can ensure that all the parts of electrical supply keep working optimally, and anything that goes out of shape gets replaced immediately. Better Safety – Everyone is aware of the hazards of an electric supply which has faulty parts. To ensure the complete safety of your appliances, as well as the personal safety of everyone at home or office, regular safety inspections are in order so that problems can be diagnosed and eliminated whenever they occur. Upgrades – Regular inspection also brings to the table areas where improvements and upgrades can be made to make your system safer, more efficient and more convenient, and these upgrades can be promptly installed. For cost-effective, regular electrical inspections at your home or office, get directly in touch with us, and we will be happy to serve your electrical needs.